The place where we hang our shingle and exercise our craft is truly a celebration of international style architecture and a monument to the people who designed and built it. 1800 Wawaset Street is the former residence of perhaps the most influential Delaware architects of the mid-twentieth century. Victorine du Pont Homsey, (daughter of Antoine and Mary DuPont) and Samuel Eldon Homsey. 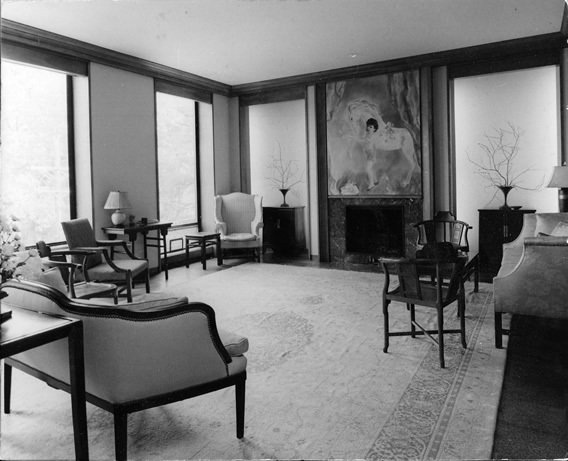 After marrying in 1929, they moved to Delaware from Massachusetts and subsequently opened one of the first husband and wife architectural firms in the United States. Their prolific and successful partnership turned out notable contributions to architecture such as the Delaware Art Museum, Mt. Cuba, Longwood and Winterthur, as well as smaller residences, including Lower Louviers, Brookdale Farm, Meown Farm, Applecross and the Homseys’ former residence, Tulip Hollow. Perhaps their most important work is an out-of-state commission for the US ambassador’s residence in Tehran, Iran. Eldon du Pont Homsey, their youngest son still operates the firm today and continues their vision and legacy through his work. At Shiny we are inspired everyday by the structures they designed and built, but even more than that, we are proud to call one of them home.